As a non-Jew, I would like to know the difference between the Mishnah, Gemara and the Talmud. I understand that the Oral Law was not written down until after the destruction of the second temple. That is obviously why it is called the Oral law. Also what are the oldest recorded written citings of either the Mishnah, the Gemara or the Talmud in other Rabbinic literature? גמרא - gemara — The body of talmudic analysis of and commentary to the Mishna, found in the Babylonian Talmud and Jerusalem Tamud. a body of law compiled circa 200 CE (circa 4000 anno mundi). I'd still like an answer to the second part of my question (and more explanation to the EDIT part above, if I have missed something or the information above is not correct). The Mishna is a compilation of (mostly) halachic rulings that comprise the Oral Law, which is the body of knowledge received by Moshe at Sinai sans whatever is included explicitly in the Written Torah. 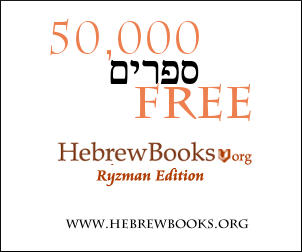 It was compiled (or perhaps even written) by R' Yehuda HaNasi in around the second or third century CE. In the next several centuries, halachic discussions took place in Batei Midrash (houses of learning) throughout Israel and Babylonia, which were based on primarily the rulings of the Mishna and other less-prominent compilations of Jewish Law. Many of these discussions were recorded and eventually compiled into the Talmud Bavli (representing the halachic analysis that took place in Babylonia) and the Talmud Yerushalmi (representing that of Israel) about four hundred years later (give or take). I'm not really sure about when they were first cited in other works. Published Jewish works were scarce at that time and in the centuries that followed. The earliest sources I know of that explicitly cite the Talmud are the works of later geonim, R' Saadia Gaon and R' Sherira Gaon (who actually wrote a history of the Talmud). A lot of information can be found on Wikipedia as well. This is recorded to have been the first work written by a Jewish scholar after the completion of the Talmud. As the first post-Talmudic work of Rabbinic Literature, and as a work which cites the Talmud all the time (though not really by name), it fulfills the criteria. Notably, this work predates the works of the geonim mentioned in the other answer by a couple hundred years. Not the answer you're looking for? Browse other questions tagged talmud-gemara rabbis mishna . What's the difference between “Tanya” and “Tanu Rabanan”?